On a Sunday morning, when all is silent and still on the ITER platform, an eerie dimension is added to the Tokamak Pit. 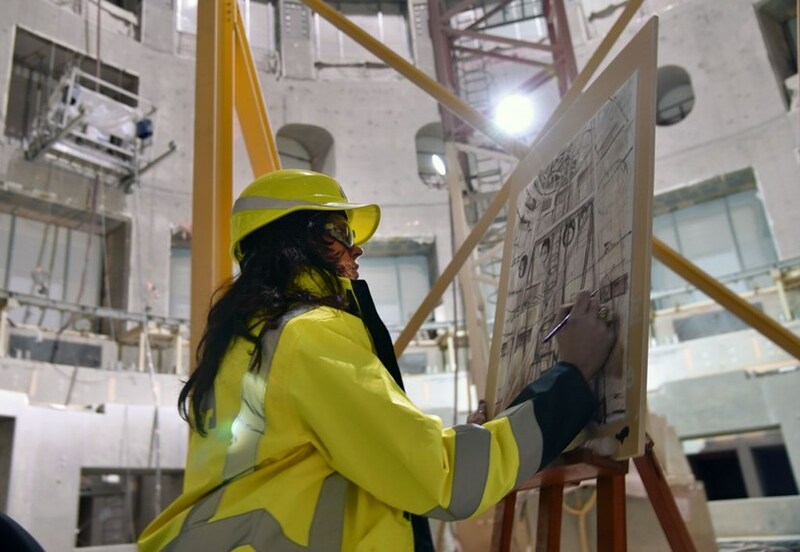 Michela Meneguzzi, a 28 year old artist from Italy, spent five hours in the Tokamak Pit on Sunday—on the very spot where the ITER machine will be installed beginning next year. Hidden eyes seem to peer through the openings in the 30-metre-high circular wall; the blend of skylight filtering through the edges of the lid above and the harsh yellowish lighting from halogen projectors create an other-world atmosphere. When planning for the Leonardo da Vinci event, ITER Communication felt that the place, in its unique strangeness, could inspire an artist—especially one, like young Michela Meneguzzi, whose work includes renditions of nocturnal scenes in mysterious, unidentified places. An image of the ITER Tokamak Pit on one side, a quick sketch of the machine on the other. Michela left her work to ITER, but returned to Italy with a real sense of the importance of ITER. Michela was thrilled at the proposal. 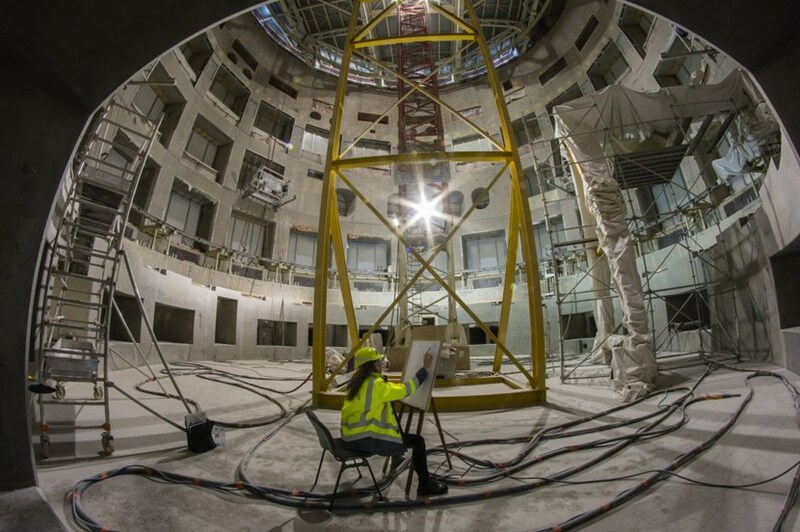 Before installing her easel on the very floor where the ITER machine will be assembled, she read everything she could on fusion and tokamaks. "I realized what this project means. I couldn't believe my luck." The 28-year-old artist spent close to five hours in the Pit to capture the essence of the place, preparing a sketch that she would finalize the following day onstage. Upon folding her easel, she mused: "What could be more exciting than this experience? Maybe painting on the Moon, or on Planet Mars ..."